Spanning the majority of Southern Arizona, the Sonoran Desert is one of America’s largest and most diverse desert ecosystems. Teeming with life, this desert is home to big cities, charming small towns, and hundreds of fascinating animal and native plant species, including the iconic Saguaro Cactus. Gazing upon the ancient cliffs of the world-renowned Grand Canyon, it’s impossible not to be moved and inspired by its breathtaking beauty. But beyond the astonishing views that capture the imaginations of millions of tourists each year, the Grand Canyon is a natural wonder that begs to be explored. Towering red rocks, rolling vineyards, eclectic towns – the Verde Valley region is often regarded as one of the most picturesque travel destinations in the country. And with numerous outdoor adventures and cultural gems to see and explore, it’s a destination not to be missed. An urban oasis surrounded by pristine desert, Greater Phoenix is home to a variety of experiences – from world-class resorts and golf courses to renowned restaurants and a vibrant nightlife. Check-in to a luxury resort in Scottsdale, restore your balance in a rejuvenating spa, or tee off on a PGA-tournament course..
Abounding with natural splendor, vibrant cultures and a rich history, Arizona has been romancing visitors for decades. 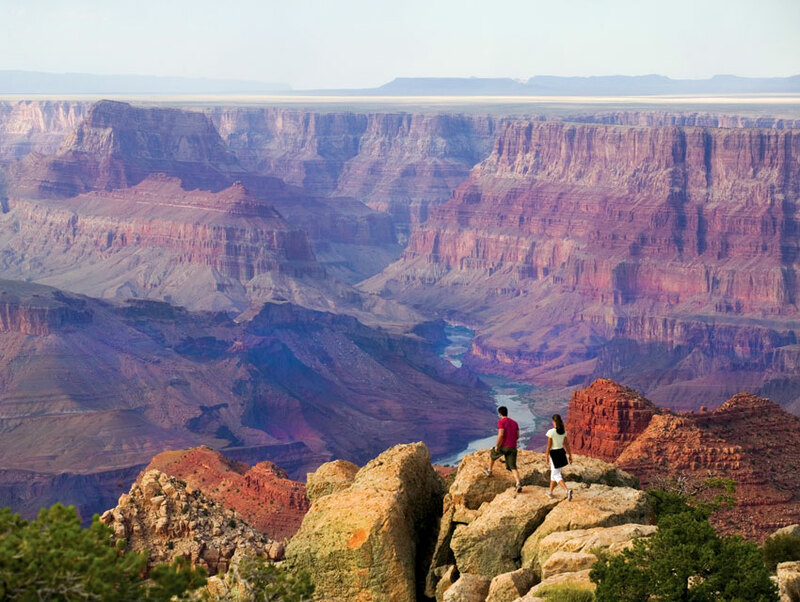 From the spectacular vistas of Canyon de Chelly to the ancient cliff dwellings of Montezuma Castle, there’s always an adventure to be had in the Grand Canyon State. With home teams in the NFL, NBA, WNBA, MLB and NHL, living in Arizona is a sports lover’s dream come true. But here, rooting for the home team is only the beginning. Get out and enjoy a race at Phoenix International Raceway, applaud a birdie on the 16th hole at the Waste Management Open or enjoy a Spring Training game from the bleacher seats. Next articleAsk Chris: If Someone Gets on the Bus Without Paying, Is There a “No Fare” Button the Driver Can Hit?